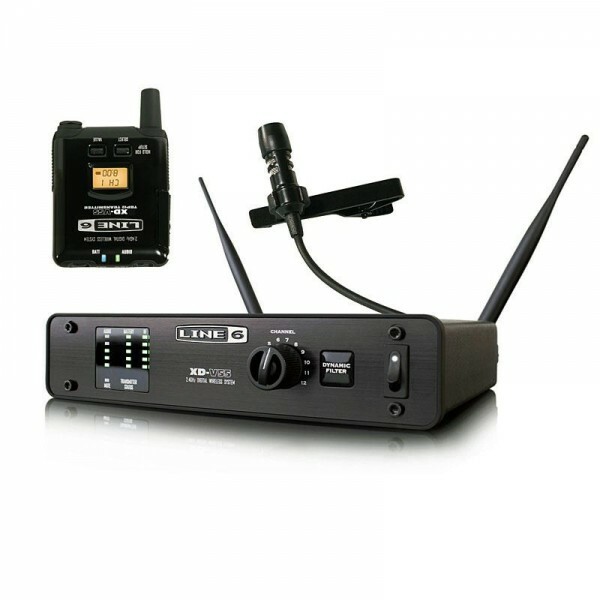 With the ability to chose between the sound of three EQ filter models, powerful fourth-generation digital wireless technology, no compression or expansion to get in the way of your sound and up to 300' of transmission range, the XD-V55L lavalier system from Line 6 provides the closest thing you'll hear to wired sound from a wireless system. Featuring a premium cardioid condenser capsule engineered for flawless capture of both voice and instruments and to deliver a full 10Hz-20kHz bandwidth at impressive dynamic range, you've always got the headroom you need for effective and dynamic presentation. Audio Technica AE3300 - Cardioid Condenser Handheld MicrophoneWith pristine audio quality, ultra-low handling noise, and high-frequency clarity, Audio-Technica’s AE3300 gives voice to the subtleties of vocal performance. This cardioid condenser vocal microphone features the condenser element used in..
Shure GLXD24/BETA58 Vokal MicrophoneThe GLXD24/BETA58A Handheld Wireless System is part of the GLX-D wireless systems family.Revolutionary Shure GLX-D® Digital Wireless Systems combine leading-edge LINKFREQ Automatic Frequency Management technology with best-in-class intelligent lithium-ion battery ..
Line 6 XD-V35L Digital Wireless Lavalier MicrophoneDesigned for professional spoken word applications, the XD-V35L was created to set a new standard in lavalier sets a new standard in lavalier wireless systems, delivering classic wired mic sound with the superior audio quality, operation and reliabi..